Lisbon's commuter ferries, operating on the River Tejo help city workers who live on the southern side of the river avoid the rush hour congestion at the Ponte 25 de Abril suspension bridge. The ferry journey doesn’t last for very long (10-15 minutes) but tourists on a budget will find the ferries to be a cheaper alternative to the river cruises on offer, and will be rewarded with the same great views of the city skyline from the water. 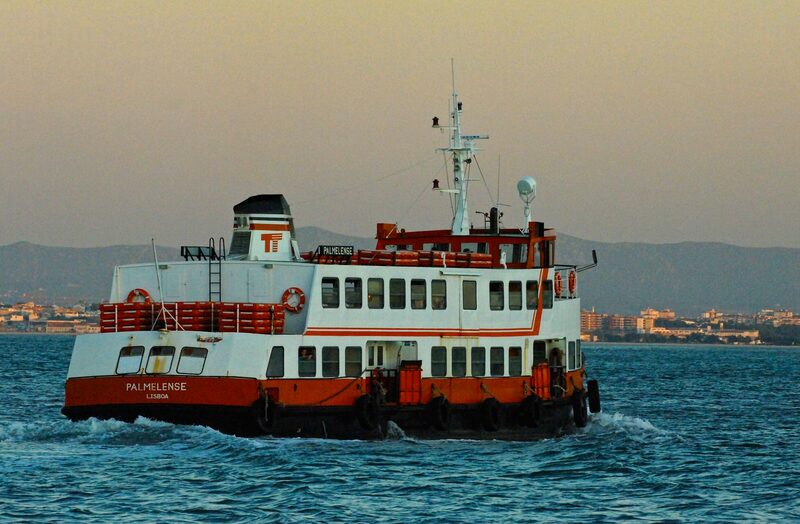 There are five ferry routes, but the best one for tourists wanting to take in the views are Cais do Sodré in Lisbon to Cacilhas across the Tagus (although avoid during rush hour). The cost of a single ticket is €1.25. There's not really a great deal by way of things for tourists to see or do on the opposite side of the river from the city, except from the possibility of catching the route 101 bus from Cacilhas to see the Cristo Rei Statue. It is also worth popping into the town to try out one of the well-regarded seafood restaurants whilst you wait for the return ferry. The nearby Terreiro do Paço (Praça do Comércio) to Barreiro route is significantly longer journey but has arguably better views back to the Alfama and Baixa. Another ferry, also offering city views (although arguably not as good as those on the Cais do Sodre to Cacilhas route) is the Belem to Porto Brandão / Trafaria. The cost of a single ticket on this route is €1.20. From Trafaira it is possible to make your way to the the excellent beaches of Costa da Caparica. For more information on times and prices check the Transtejo website.